Sold by : Prince Care Pharma Pvt Ltd.
Description- Used for the treatment of constipation. 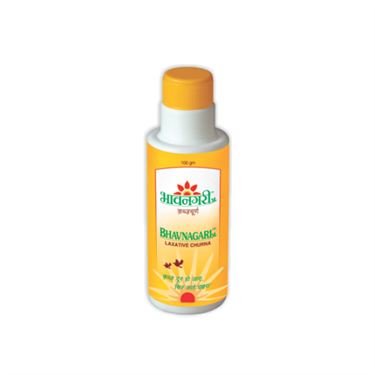 Bhavnagari Churna is the most effective product, which aid in indigestion and chronic constipation. This formula is easy to use and is effective without chaining you to a toilet. The Bhavnagari churna is having multiple action by cleansing “herb”; a primary chemical constituent of the herb is sennoside, which irritates to the large intestine lining, causing peristaltic action and bowel evacuation and also help temporarily to prevent fluid from being absorbed from the large intestine, thus soften the stool; while another component of the churna having the properties of both a purgative laxative and a lubricating bulk laxative, helps nutritionally as well as for blood and liver cleansing actions; the third component promotes digestion, alleviates gas, promotes kidney function and generally benefits the nerves. it is also considered to benefit the respiratory system, and to promote kidney function.